Home Connect as an open platform is the core of the ecosystem used by BSH to deliver new consumer experiences in the connected kitchen. The multi-brand solution, which has already been rolled out in 33 countries, consistently connects partners, products and solutions with each other. This year, in addition to its presence at the Bosch and Siemens exhibition booths, Home Connect will, for the first time, be exhibiting as an independent brand in the connecting tunnel between the two booths. This symbolizes the unifying strategic overall importance of the Home Connect platform brand for the steadily growing ecosystem. In 2018, attention is focusing on automatic delivery services that offer consumers even more convenience in using the connected home appliances. For example, simple reordering of dishwasher tabs, rinse aid or salt is already possible today via partners in the ecosystem. Further reordering options, such as detergent, vacuum cleaner bags or water filters, will also follow this year. 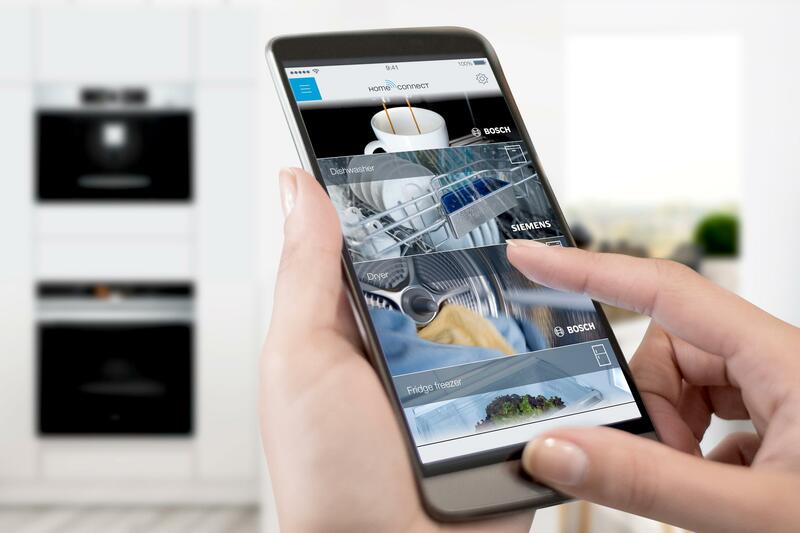 “In addition to the new digital services that Home Connect enables already today, consumers expect more and more personalized, integrated and connected solutions that enrich and simplify everyday life. For the success of BSH as a Hardware+ company it’s important to develop, validate and scale digital business models on a consumer-centric basis”, says Karsten Ottenberg, CEO at BSH, and adds: “BSH is open to innovative outside impetus and strategically searches for suitable partners and business models in order to offer new and truly enriching experiences for consumers.” Strategic investment in start-ups is a key aspect in this. The Berlin-based start-up Kitchen Stories, a global recipe platform and app, has been part of the BSH brand family since 2017. Together with its partner Techstars, BSH recently established “BSH Future Home Accelerator Powered by Techstars”, which provides start-ups with a platform to further develop their innovative ideas for the connected kitchen. For the first time at this year’s IFA, Kitchen Stories will demonstrate just how digitalization is changing the way of cooking. Consumers can experience the integration of Kitchen Stories recipes live in product presentations and cooking shows at the Bosch and Siemens brand exhibition booths. Ecosystem users can already access selected step-by-step recipes from Kitchen Stories within the Home Connect app. Kitchen Stories will be moving to new premises in Berlin at the end of the year, where there will be separate kitchens, each equipped respectively with Bosch, Siemens and Neff appliances, supporting the production of new recipes. 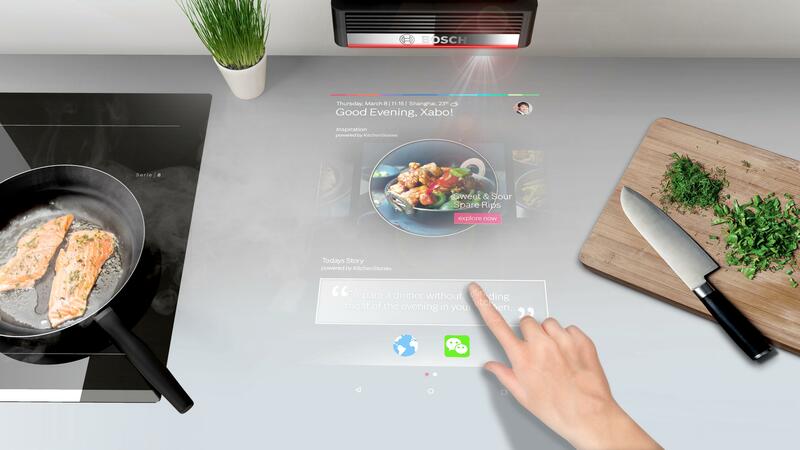 In addition to the previously presented concept of the personal kitchen assistant Mykie (“my kitchen elf”), BSH will present other innovative interaction options for consumers in the connected kitchen at this year’s IFA. PAI (“Project and Interact”) is one example of a new interaction option in the kitchen. The projector can be installed above the kitchen work surface in order to project a virtual operating interface onto the surface. An integrated 3D sensor records when the user touches the interface, thus allowing touch control of the operating surface. As a result, users can conveniently access a variety of different digital services in the Home Connect ecosystem while cooking or baking.